Our team understands that the best fly fishing itineraries must sometimes account for other interests and passions. So for anglers and guests interested to experience the best that the country has to offer, it often means reservations at the better restaurants and tasting local flavors in addition to a few old favorites and traditional dishes. 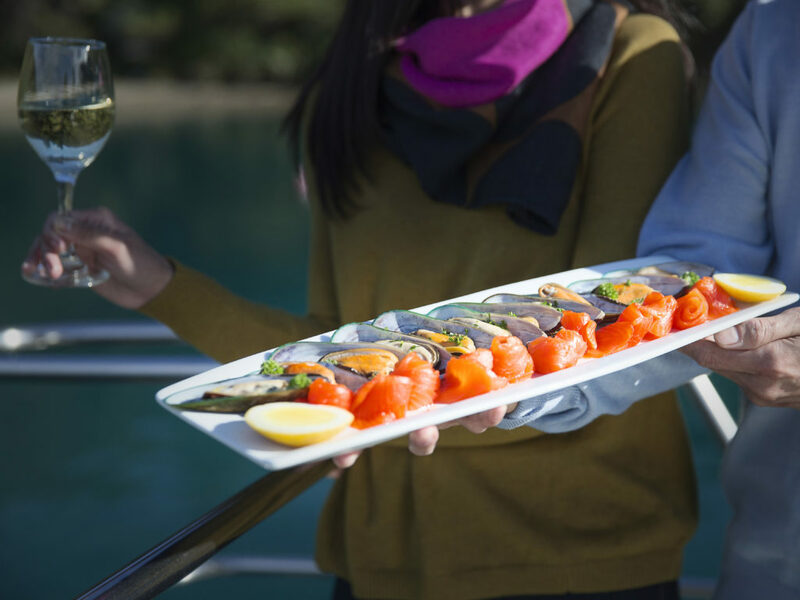 When not fishing we often arrange for our clients private wine tastings and "foodie" tours. So please don't hesitate to contact us if you too are interested to discover the best cuisine that New Zealand has to offer! 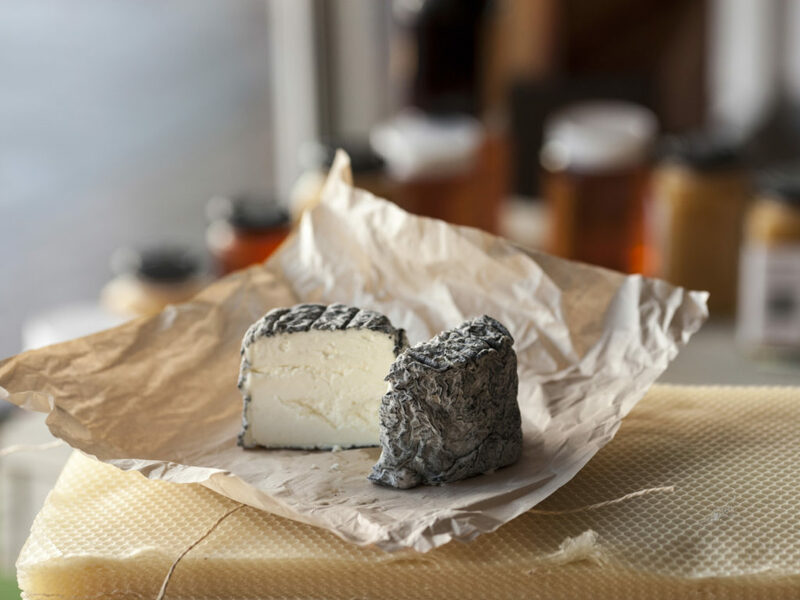 While the country is famous for Sauvignon blanc, its wine and cheese industries have taken off in recent years and deserve special attention within any itinerary. The Marlborough region still dominates wine production with 75% of the wine produced in the country. However based upon large investments, better science and a maturing industry, a day of tasting in New Zealand is unique in providing access to wine-makers and proximity to other interesting activities. Pavlova: A meringue topped with heavy whipped cream and fresh fruit, this dessert is most likely to be served at Christmas (which is in the summer for Kiwis) but really good whenever available. Named after the famous Russian ballerina who visited New Zealand in the 1920s. Anzac biscuits: Although the recipe stems back prior to WW1, the name "Anzac biscuit" popped up around WW1 as they were sent to men on the front lines. These sweet oatmeal cookies are great with coffee and can be found all over New Zealand and Australia. L&P soda: Perhaps attuned to more of a Kiwi's preference for sweet, this soda is found throughout the country. Expect sweet. Hokey Pokey: The butter is better than that which we find in the US and the ice cream can be out of this world. It makes no sense why this delicious vanilla ice cream + bits of honeycomb toffee can not be found more regularly in other parts of the world. It's excellent. Meat Pies: These hand-sized pies can be filled with chicken, vegetables, turkey, etc. but are traditionally eaten when filled with minced meat, onions and perhaps mushrooms. Great for lunch and found behind the deli glass all over the country. 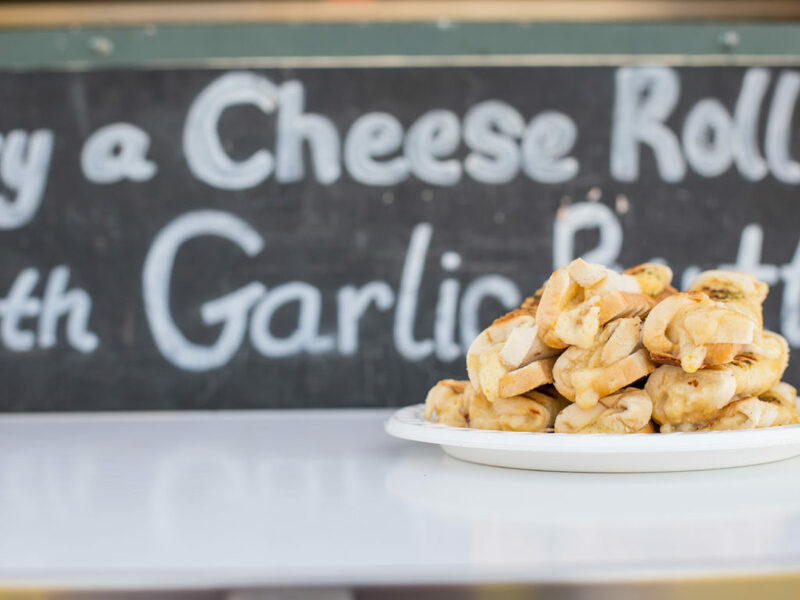 Cheese rolls: Found mostly on the South Island in small cafes and bakeries a cheese roll is bread in a filling of grated cheese rolled and toasted. Roast Lamb: As one of the world's largest exporters of lamb meat this is a big industry for New Zealand and can be found on the menu throughout the country. 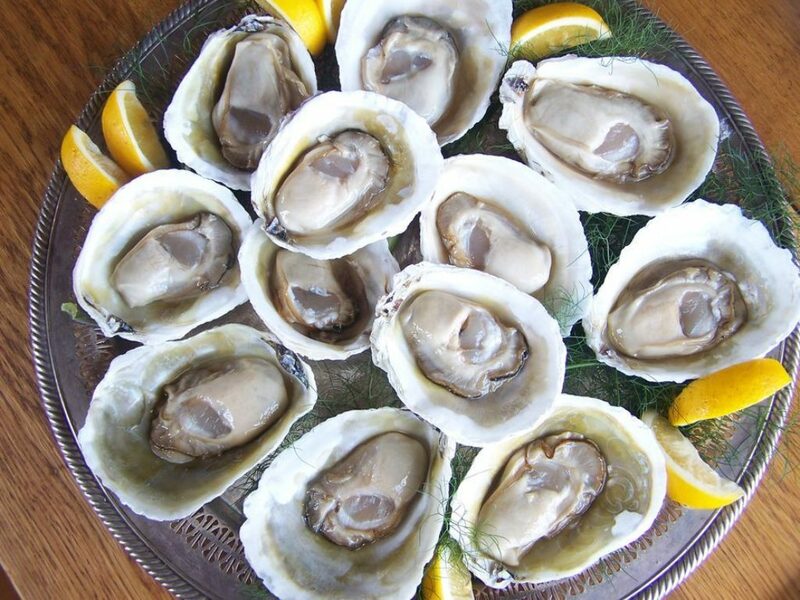 Bluff Oysters: Although there are many locations in New Zealand that serve great locally-caught Oysters (Waiheke Island, the Coromandel, Napier, Northland, etc.) the most famous is the sweet and tasty Bluff Oyster. Served au naturel, barbecued, battered and fried or in a pie. Whitebait: Not to be confused with the odd large fish that is served in the UK and other places under the same name, New Zealand's whitebait is a delicacy served as a fritter or lightly pan fried. Local whitebait stands will mark where the seasonal collection occurs and their exclusivity is fiercely guarded. Fish n' Chips: Pubs still dot the roads and small towns of New Zealand and are great places to talk with locals and eat freshly caught fish (battered and deep-fried) with a beer. Although certain locations have built a reputation as "the best" in the country, our team has recommendations all over the country as to our personal favorites. Crayfish: Actually the term referred to for both freshwater Koura and the similiar looking Rock Lobster. Enjoyed in a range of ways, the best if often the most simple- with butter and a glass of local white wine. Some photos provided by Tourism New Zealand. Others courtesy of delicious food establishments throughout.